Basil Ede (1931 - 2016), was a British artist specialising in birds and noted for the ornithological precision of his paintings. 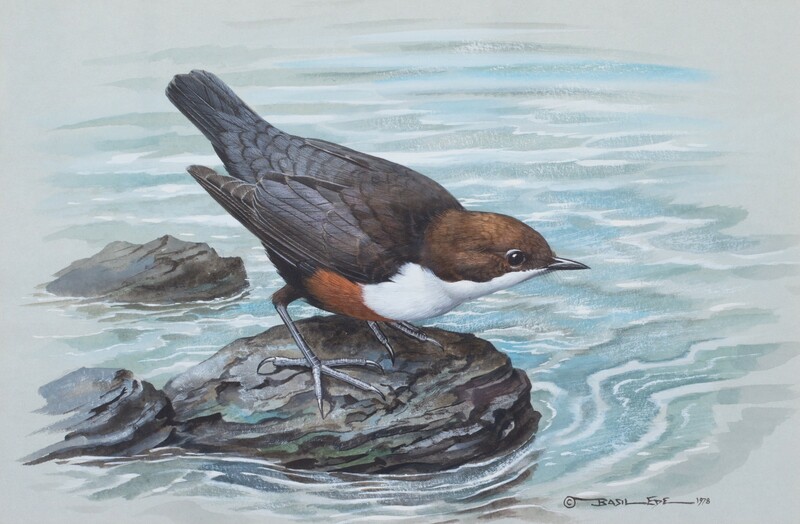 He was widely regarded as one of the worlds great wildlife artists but probably best known here for his popular first book 'Birds of Town and Village'. Published by Country Life in 1965, it combined his art with commentary by the naturalist W D Campbell. It sold well, being reprinted at least a dozen times, and in later years he would happily recall the research trips he and Campbell had made in the fields and rivers around Reading. He soon developed a lucrative sideline in reproductions of his work for greetings cards and calendars by Royle Publications or collectable china objects by Franklin Mint, with the result that many households across the world had some form of reproduction of Ede’s work on their chimney-piece or bookshelf. Born at Bookham, Surrey, on February 12 1931, he developed a love of drawing at an early age. On leaving school he attended Kingston School of Art in Surrey, but his artistic career was interrupted by compulsory military service. On leaving the army in 1951 he joined the Merchant Navy as a purser, a post that involved extensive travel in the Far East. The art he encountered on his travels had a great deal of impact on Ede's style, and when he moved into an executive job at the Cunard line he began to sell his bird designs to Cunard for their first-class menu cards. A second book, Basil Ede’s Birds, like its predecessor featuring common British birds, was published in 1980. His work attracted comparisons with that of the supreme bird artist, John James Audubon, and one of his most popular series of paintings was ‘The Wild Birds of America’, commissioned by the American paper magnate and philanthropist Jack Westervelt Warner, and executed between 1971 and 1989. A book derived from the project, ‘Wild Birds of America – The Art of Basil Ede’, with 103 colour plates as well as field notes and sketches, came out in 1991. 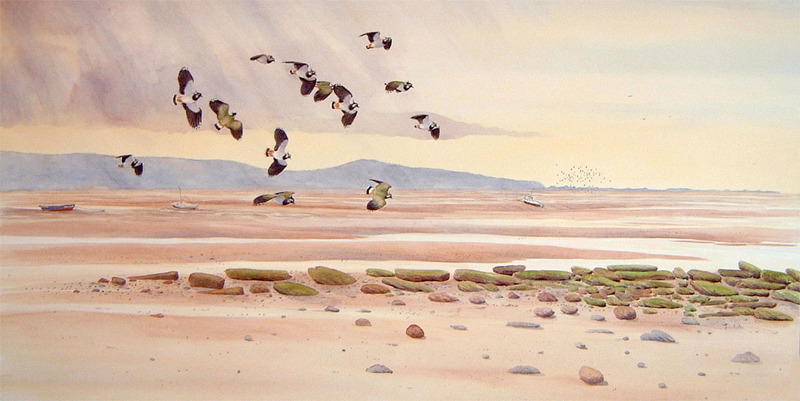 One of my favourite artists along with Tunnicliffe and Ennion to name a few.